We all know the dangers the sun’s rays pose to our skin and the importance of wearing sunscreen every day. Now, skin care brand La Roche-Posay (under L’Oréal) is making it easier to see how much sun exposure we’re getting with a new wearable sensor that monitors personal UVA and UVB levels via an app on your mobile device. 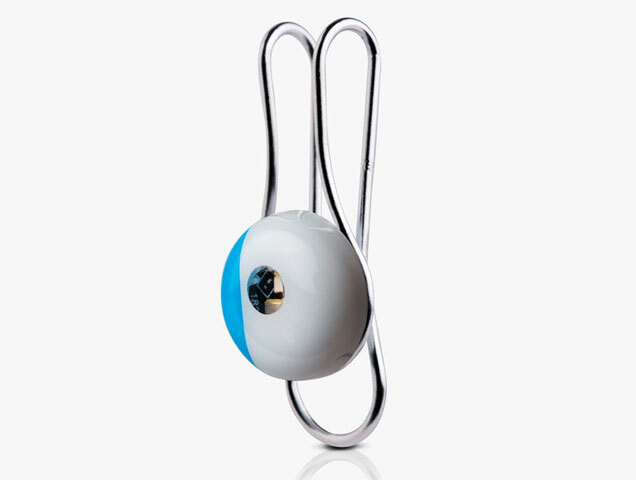 Called My Skin Track UV, the device can be worn on your collar or even on a bag. It’s battery-free and waterproof and subtle enough to be worn every day. It was designed to help users make informed decisions about their skin and “smart, sun-safe choices,” according to Guive Balooch, Global Vice President and Head of L’Oréal’s Technology Incubator. The device also gathers data on pollution, humidity and even pollen levels. My Skin Track UV device is available at apple.com and select Apple stores in the U.S. for $59.95.